In its charge sheet, the probe agency had alleged money laundering in the 2G case and said that Rs 200 crore was paid by Swan Telecom (P) Ltd (STPL) promoters to DMK-run Kalaignar TV. 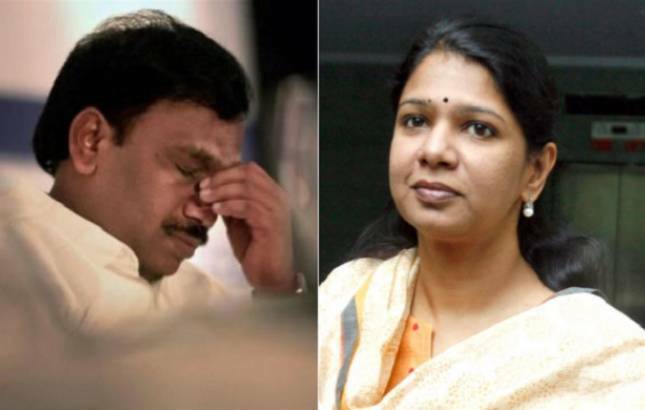 The Enforcement Directorate has moved Delhi High Court against the acquittal of former Telecom Minister A Raja, DMK MP Kanimozhi and others in the 2G spectrum allocation scam case. On December 21, 2017, a special CBI court had acquitted Raja, Kanimozhi and 17 others, including DMK supremo M Karunanidhi's wife Dayalu Ammal. Pronouncing the verdict, special Judge O P Saini had said that the prosecution had "miserably failed" to prove the charges. "I have absolutely no hesitation in holding that the prosecution has miserably failed to prove any charge against any of the accused, made in its well-choreographed chargesheet," the judge had said. The special court, which was set up on March 14, 2011 for hearing 2G cases exclusively, had also acquitted Essar Group promoters Ravi Kant Ruia and Anshuman.